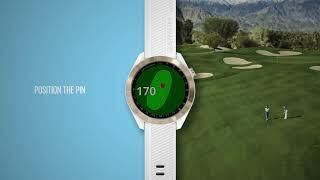 The Approach S40 GPS golf smartwatch with colour touchscreen looks great on your wrist and on the course. It shows distances to the front, middle and back of the green as well as hazards, and automatically records the location and distance of each detected shot1. 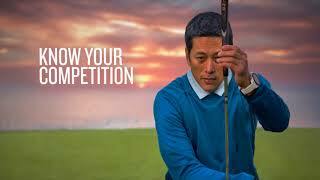 It also lets you manually adjust to today's pin position for accurate approach shots. For even more precise automatic game tracking and a full overview of your game, pair with optional Approach CT10 club tracking sensors. Use with the Garmin Golf™ app for live scoring, automatic scorecard uploads and the ability to review all your stats in real time during play and after your round on your compatible smartphone. With the additional smartwatch features, you can wear it all day, and it can track your activities.